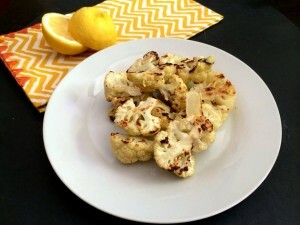 I love roasted cauliflower as much as I love C-H-O-C-O-L-A-T-E! This recipe is easy, delicious and nutritious! It can be served as a main dish or side dish. The slightly sweet taste of cauliflower is perfectly balanced by the tangy lemon zest, garlic and tahini sauce. Preheat your oven to 450° degrees Fahrenheit (230 degrees C). Prepare the dressing by mixing the garlic, lemon, olive oil, salt and pepper. 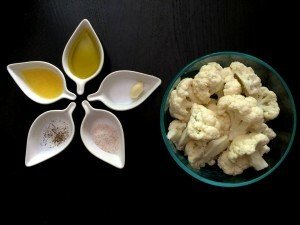 Cut the cauliflower into even-sized pieces and toss to coat with the dressing. Line a baking sheet with parchment paper . Lay pieces of cauliflower cut-side down. Roast for about 10 minutes before tossing. Return to the oven for about 5 minutes or until it is almost cooked through. Once the cauliflower is roasted to your liking, remove the baking sheet from the oven and place the roasted cauliflower in a large bowl. Cool down for about 10 minutes and toss with the tahini sauce. It can be served hot or cold (preferable). Enjoy it! If you try this recipe, let me know what you think. I’d love to hear from you.